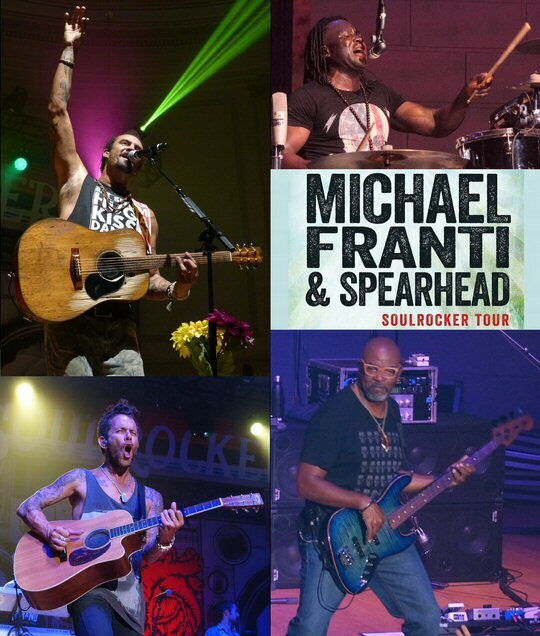 Michael Franti & Spearhead presented a heartfelt show at Nashville's War Memorial Auditorium on July 22, 2016. Michael attracted a diverse group of fans from kids to card carrying AARP members. The majority of the crowd was Millennials who were ready for a dance party with a purpose. 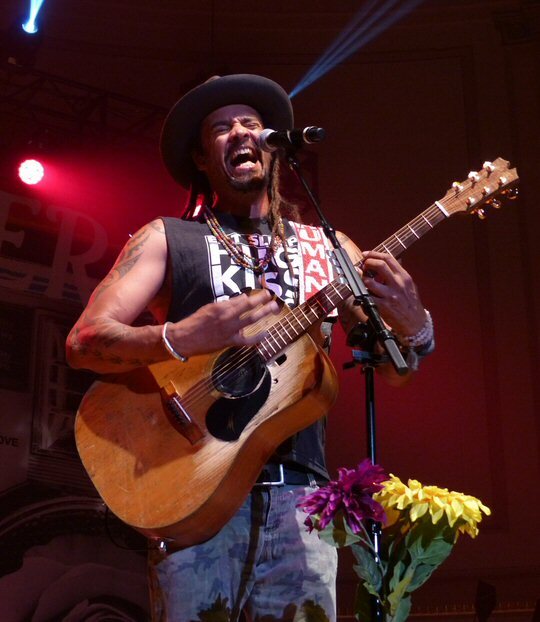 Franti is on tour in support of his latest release Soulrocker, which features his signature style of up-beat songs that point out social issues. 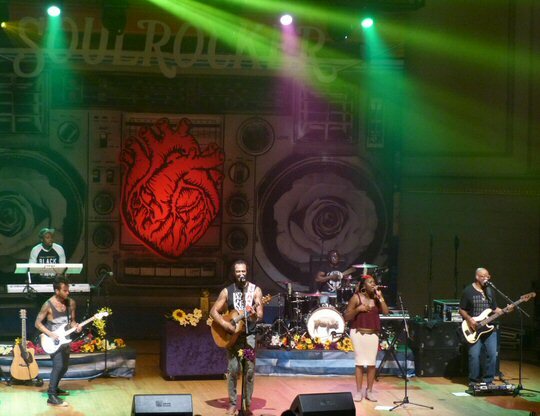 Michael Franti takes the stage at Nashville's War Memorial Auditorium. Reflecting on Soulrocker Franti shares, "I feel a deeper sense of purpose in music today than I ever have in my career. The album's really about me challenging myself and growing, and just trying to make the most inspiring music I possibly can for this intense, crazy and wonderful time we're all living in." Behind the Auditorium stage filled with amps, flowers and gear was a backdrop of a boom box with a heart and flowers. Some fans were also sporting flora. Spearhead strolled out greeted by cheers before Michael armed with an acoustic immediately engaged the audience by encouraging them to clap along to the rapid rapping yet melodic "Hey Hey Hey". Fans were dancing and jumping to the shining good grooves of "The Sound of Sunshine". Big yellow balloons were bounced back and forth between the band and the crowd. At one point a balloon popped when it hit Michael's guitar. It did not faze Franti as he kept the feisty pace of this fun tune flowing. 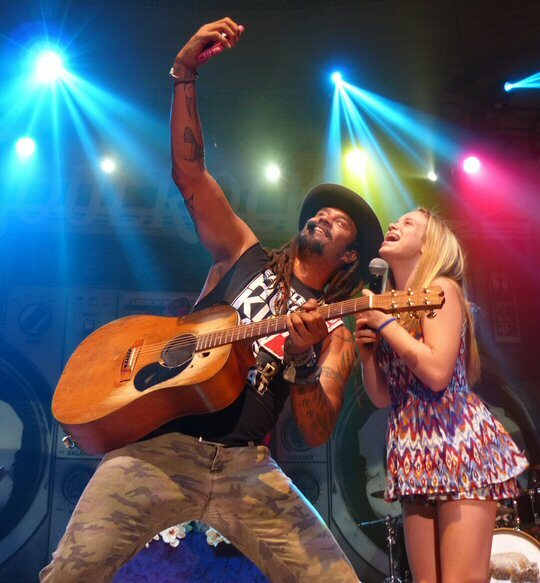 The Michael Franti show was a kid-friendly affair with smiles all around. The energy remained high with the rousing "Yell Fire" and "Get Myself To Saturday". At this point Michael had moved through the audience to the platform in the center of the floor. Fans were encouraged to join him. Throughout the night he hugged people and invited kids to assist with the hooks lines. Little by little Franti drove the crowd into a safe frenzy. Later in the evening he found his way up into the balcony seats of the Auditorium. Many artists work the stage but Michael worked the whole room. "Thank you so much for coming out, glad to be in Tennessee," said Michael. He mentioned performing in North Carolina with a comment on its controversial bathroom law concluding that "people should not fear being their authentic self". Back to the music with the up-tempo "Good To Be Alive Today", the bright anthemic "Summertime Is In Our Hands" and the universal "We Are All Earthlings". Fans were still moving as Michael continued to mingle with people. Fans got a little frantic as Franti toured the crowd for a good part of the night. "My Favorite Wine Is Tequila" was a reggae-soaked light-hearted sing-along streaming into the lively "Crazy For You". Michael mentioned fallen soldiers, first responders and musicians before playing part of "Purple Rain" in tribute to the dearly departed Prince. Franti also presented a number of songs that he wrote for his sons. For "Once A Day" Michael went off mic. He gently strummed an acoustic forcing the crowd to listen. It was a testimony to him as an artist that after so many rockers that the audience remained quiet during this moving moment. Some fans clapped and sang along thus filling the hall with words about love and rising up. Towards the end of the concert Franti invited a group of children on stage to dance and sing along. Before the closer "My Lord", Michael talked about his upbringing and how his Mom taught him to treat every kid the way he expected to be treated. The song was a call to peace. Encouraged by Michael people swayed arm and arm as the DJ played "Imagine" by John Lennon. Fans danced to Bob Marley's "Every Thing Gonna Be Alright" as the Michael Franti & Spearhead show concluded. Scenes from the 2016 Soulrocker Tour in Music City. Opening for Spearhead was Mark Scibilia. At 18, Mark moved from New York State to Tennessee. He mentioned being on the road and that it was good to be back in Nashville. Scibilia also said he was a big fan of Michael Franti. "Jericho" showcased Scibilia's expressive range in a stark format. Another original was about not measuring up to others expectations. It was an astute tune with some jamming. Mark with his band presented a generally up-beat set that the crowd connected with. Mark's vocals ran from graceful to gritty like Springsteen. So it seemed appropriate that he closed with Bruce's "Dancing in the Dark". Mark's band put their own spin on the catchy classic. 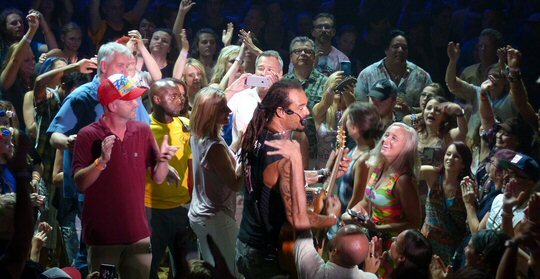 Michael Franti & Spearhead pierce the heart and soul in Nashville. A Michael Franti & Spearhead concert is more than just talented people playing music. It's a dance party with depth. Michael unified people with his personality and prose. The show at Nashville's War Memorial was engaging, energized and insightful. Franti supports many good causes including his own Do It For The Love Foundation whose goal is to "make live concerts, by any artist, available to those who need the healing power of music most." In other words Do It For The Love is a non-profit wish-granting organization that brings musical experiences to children with challenges, people with life-threatening illnesses, wounded veterans and more. The War Memorial Auditorium located in downtown Nashville sits directly in front of the Tennessee State Capitol. Built in 1925, this historic building is a versatile concert hall, performance space, wedding site, video/film location and graduation commencement venue. The room has good acoustics. In fact, a number of live albums have been recorded on its crescent shape stage. Concerts such as Michael Franti & Spearhead along with other events are periodically held at this venerable venue. 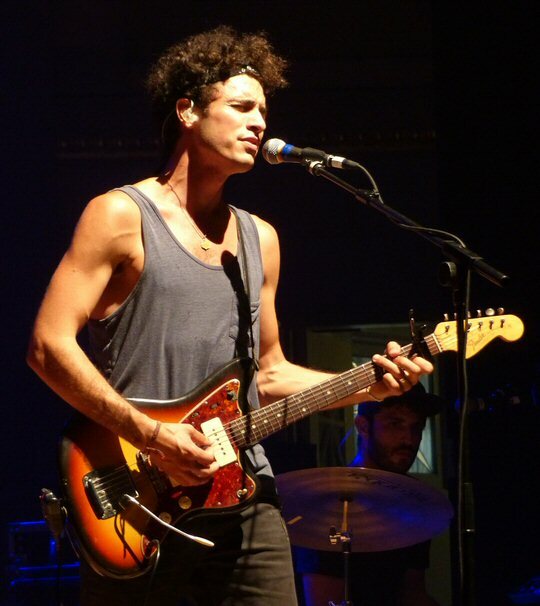 Singer-songwriter Marc Scibilia and his trio got things rolling in Nashville.